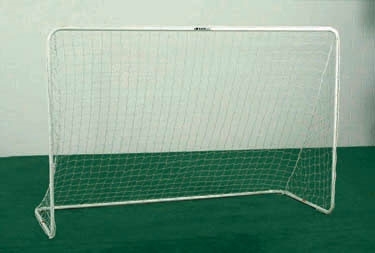 :: Kwikgoal Portable Futsal Soccer Goal 6' 7" x 9' 10"
Kwikgoal Portable Futsal Soccer Goal 6' 7" x 9' 10"
Our Kwikgoal Portable Futsal Soccer Goal 6'7"x9'10", 1.5" O.D. aluminum tubing, with a finish of powder coated white. Great goal for futsal, and very easy to transport. KwikGoal Lifetime Guarantee. 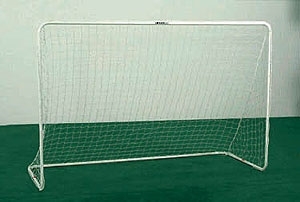 Quality Features: * Kwik Lock® Net System * Powder-coated white finish, KwikGoal Lifetime Guarantee.